Why are Chinese cities – many with economic performance stronger than some European countries – performing poorly in international city brand rankings? 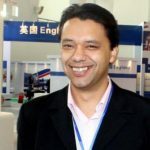 Ramon Thomas in this guest post takes a closer look at the Anholt Gfk-Roper City Brands Index and examines the city brand performance of Ningbo in the study’s six key dimensions. China has over 600 cities, and according to the Demographia World Urban Areas 2017 report has 102 cities with more than 1 million residents. Some of those cities are world-renown, such as Beijing, Shanghai and Hong Kong. However, there are many little-known cities, such as Dongguan and Ningbo. This is surprising, considering their size and economic performance. For decades, the focus of these Chinese cities has been economic development. The central government in Beijing allowed and even encouraged this with great fervor, and the results have been nothing less than astounding. According to the World Bank, China has cut poverty by half in 2001, 14 years ahead of the Millennium Development Goals deadline of 2015. City branding is absolutely necessary because of the increased internationalization of Chinese cities. Even though there remains a strong control by the government on culture, more and more foreign enterprises, as well as foreign entrepreneurs, have leapt at opportunities provided by the amount of capital available for economic development. One of the most telling aspects of this index is that not one city in China, or Asia, made it into the Top 10 in 2016. Even though Beijing, Shanghai and Hong Kong are included in the 50 cities surveyed, they have not performed as well as may be expected, considering their “per capita” income or GDP rankings. Other cities, like Ningbo, are not even on the radar. The city of Ningbo may be the 2nd busiest port in China, after Shanghai. Its proximity to Hangzhou, the capital of Zhejiang province, places it in a triangle of influence with Shanghai. Some of the industries that have flourished include manufacturing of garments, plastics and automotive parts. In 2017 the Ningbo-Zhoushan port reported that its annual cargo throughput reached 1 billion tons. This makes it one of the most important port cities in the world. There’s also an annual trade expo with Central and Eastern European countries that takes place during June. Ningbo has two well-known lakes: Moon Lake and Dongqian Lake. There are also three rivers that flow through the city, and this has led to bridge building to improve the efficiency of the local transport networks. In 2013 the first Ningbo subway line was opened, and the 2nd in 2015. There are several more lines expected by 2025. Like most big cities in China, Ningbo provides ample space for bikes and buses. The city is composed of several districts, and has well developed public transportation that connects people to all the basic necessities. There are many hospitals, schools and shopping centers. You can find everything that you expect, however, there are no noteworthy attractions, especially for people from outside China. Ningbo local people have a proud history, which they trace back to the Hemudu culture around 5000 BC. Due to the city’s economic strength linked to its import-export industry, Ningbo has attracted many people from all around China, including Hong Kong. Mandarin Chinese is the commonly spoken language, but Ningbo-locals also speak a variation of the Wu dialect. Like most “smaller” cities in China, there are few people who speak English. However, there seems to be a large number of German people because of the close co-operation with German industry. 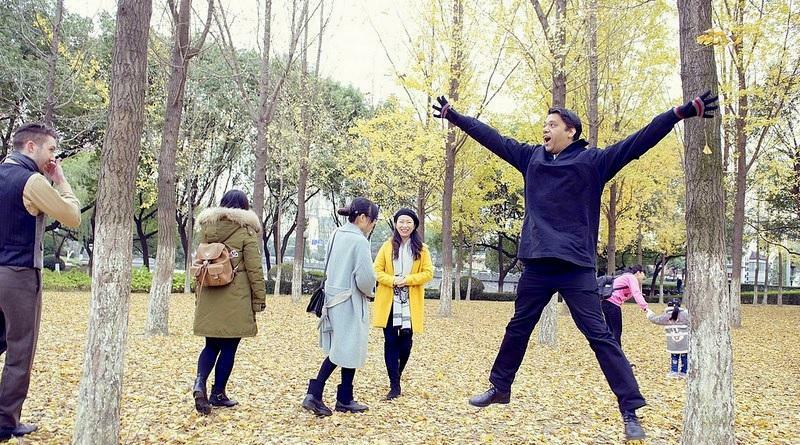 Some estimates suggest more than 10,000 foreigners in Ningbo. This is one of the areas where the city has a real weakness. There’s a shortage of international events, which would usually take place in Shanghai, about 2 hours away on the high-speed train. Ningbo is not nearly as popular as Hangzhou for tourism, and this adds to the lack of interesting events and activities. Ningbo’s economy was $233 billion in 2015, about the same size as Czech Republic (Source). The economy is expected to continue to grow and to join the 1 trillion Chinese Yuan GDP club. A new Hi-Tech Zone is resulting from the central government’s push towards advanced manufacturing and new technology research. University of Nottingham Ningbo China is China’s very first Sino-Foreign University – a joint venture between the University of Nottingham and the Wanli Education Group. NC has built a high reputation in China for the quality of its undergraduate education, and graduated its first PhD students in 2013. There are currently 16 universities and colleges with a growing number of foreign students. All in all, Ningbo, like many other Chinese cities, fulfills various of the prerequisites for a strong city brand, but falls short in some dimensions. Strategic city branding would be a real opportunity to become better known internationally and to bring those cities to the next level of global recognition. Ramon Thomas completed his MBA at Ningbo University in 2015. He worked as the Country Manager for Brand South Africa in Beijing from 2016 to 2017, and he is currently a consultant to local governments in China focused on City Branding. In September 2018 he will start his PhD in City Branding and Marketing at the University of Nottingham Ningbo, China. Connect with Ramon Thomas on LinkedIn.